Fish and invertebrates are cold-blooded creatures, which does not give them the ability to raise or lower their body temperatures to compensate for their environment. For this reason, it is up to an aquarist to provide heat in the aquarium, as well as maintain the optimal tank temperature that is suitable for them. What kind of marine animals are kept in the aquarium will help determine these factors. Therefore, it is important to research and learn all about what life you are going to keep, particularly when it comes to corals and other invertebrates, as most of these animals do not usually tolerate even minor fluctuations by a few degrees. What type of aquarium heater you choose and how many to use are also vital factors when it comes to heating and maintaining the proper aquarium temperature needed. Hang-on-tank style: This type provides basic heating and is less efficient because they are only partially submerged in the aquarium water. Submersible style: This type is much more efficient because the heating unit is fully submerged in the water, which provides more consistent heating of the aquarium. Heating cable system: This is a type you install underneath your gravel or substrate and is manipulated by an additionally needed electronic controlling unit. It is used most often in freshwater planted aquariums to eliminate reduction areas (dead spots) by convection, but sometimes are used by saltwater aquarists. This type of unit does distribute heat evenly throughout an aquarium from the bottom to the top (heat rises), and not only heats the water but allows the substrate to retain and generate an evenly distributed heat source. The downside is that when it breaks or wears out you have to remove and replace it, which means you have to dig up your substrate bed to do so. 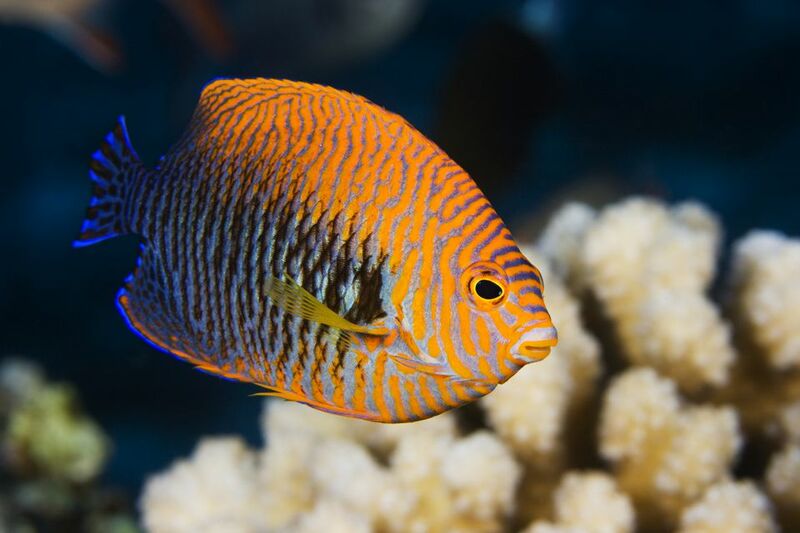 Might be OK for fish-only tanks, but not wise to use in reef systems. No matter what type of heater you decide on, it is wise to use multiple units with the hang-ons and submersibles. Putting all your eggs in one basket, so to speak, can present a problem if your one and only heater goes out or breaks, particularly in winter time. This also provides a more even, consistent distribution of heat throughout the aquarium, especially in larger setups, and doesn't overwork the heaters. Keep a spare heater on hand as a backup. Choose a heater tube length appropriate for the height of your aquarium. Because heat rises, shorter units will not heat as efficiently as taller ones. Unplug your heaters when doing work on your aquarium. Otherwise, the glass can overheat and shatter once the heater coil is uncovered with water. Be sure to check the manufacturer's specifications to see that the heater you choose is safe for saltwater or brackish water. Where does heat come from? Other aquarium equipment, indoor home heating units or vents, and other contributing heat sources can add to rising or fluctuating temperatures. How much heat do your lights give off? What is the ambient temperature of where you have your aquarium set up? Are you going to place the heater(s) in the main tank or a sump? All of these things will be a factor in determining the size of your heater needs. The basic rule of thumb for wattage is to use between 2.5 and 5 watts per gallon of actual water volume in the aquarium. Example: For 50 gallons of water using 5 watts per gallon you want 250 watts total. You can choose to use one 250 watt unit, or two 125 watt units, and so on. Referred to in degrees as Celsius or Centigrade (C), and Fahrenheit (F), most saltwater aquarium books and articles use only one reference or the other, therefore you might need to convert from degrees C to degrees F, or vice versa. Maintaining an optimal and steady temperature is of the utmost importance to your tank inhabitants, but can sometimes present challenges for many aquarist, especially during cold winter or hot summer months. One solution to controlling falling, rising, or constantly fluctuating temperatures any time of the year is to install a chiller.